Villa Sol y Luna – Beach front condo with fantastic north end location! Just steps to the beach and less than a 10 minute walk to downtown. 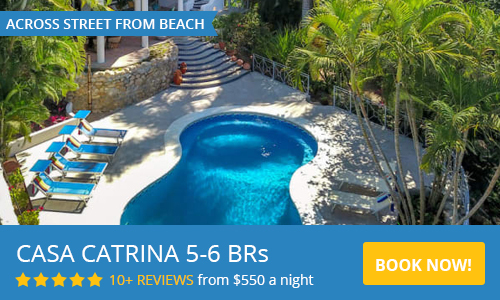 Villa Sol y Luna has four air conditioned bedrooms, three full baths, two kitchens, large swimming pool and amazing views of the ocean. Villa Sol y Luna is a great rental property that can easily accommodate large groups or two families. Villa Sol y Luna has been recently renovated from the ground up, is fully furnished, and has an established rental property. Villa Sol y Luna has one of the best locations in town - walking distance to downtown Sayulita, restaurants, shopping, all that Sayulita has to offer. The entire complex is enclosed with gated entrance and onsite caretaker.